Here at EPiC we’re always on the lookout for new variations on a theme, and this week we couldn’t help but notice the ever-expanding variety of contemporary tiling options. Whether you’re looking for something unique and unconventional, organic, or minimalist, we did the digging for you and came up with some beautiful and inspiring ideas for dressing up your floors and walls, transforming them into works of art in their own right. 1 | In this update on the classic black-and-white motif, lacquered tiles reflect the light and super-sized squares give the room a bold geometric pop. 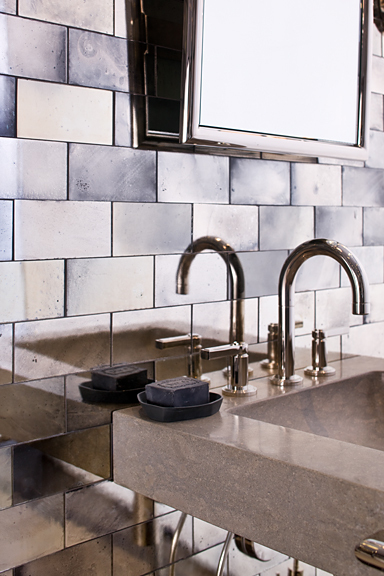 2 | Mirrored tile lends contemporary flair to the classic monochrome palette. 3 | Marble chevron tiles are both elegant and durable, and their directional pattern attracts the eye without being distracting. 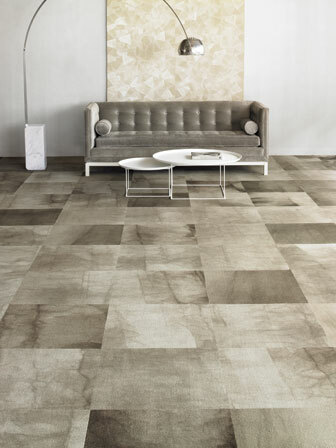 4 | The dyed pattern on these carpet tiles mimics that of natural marble, but with a much softer texture and price tag. 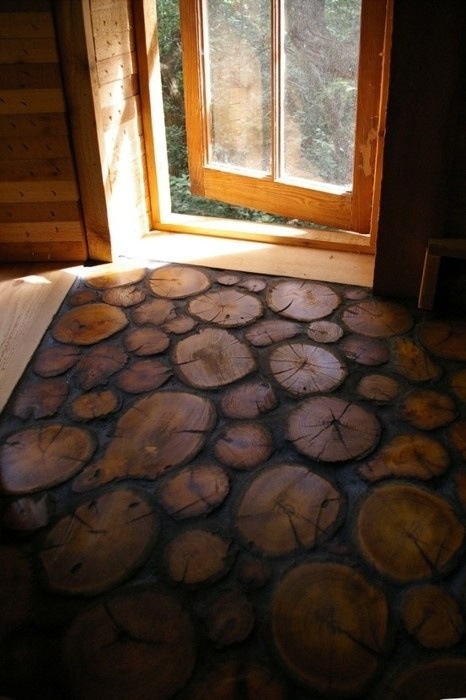 sea-creatures made of Helios Porcelain, or these rustic wood-slab tiles. 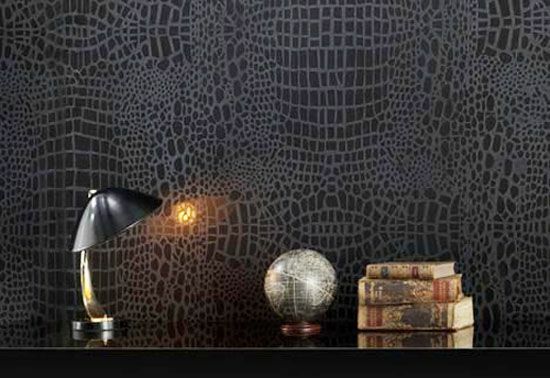 snake tiles with simple wall or floor treatments to keep the effect luxurious rather than overwhelming. 5-8 | Swedish design company Marrakech Design has a number of organic-inspired tiling options with labels signaling their visual sources, like Stone and Dandelion. 1-3 | Who said tiles have to form a checkerboard? 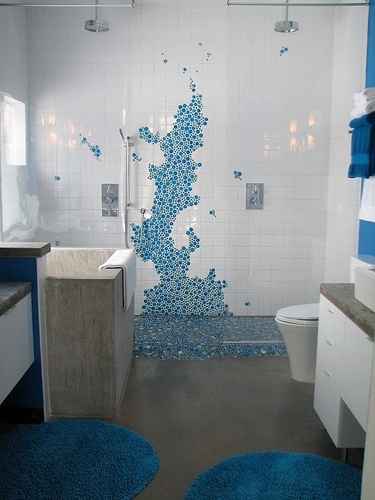 One trend literally breaking the mold is spontaneous tile design, incorporating mosaic techniques to create an overall image rather than a uniform pattern. 4 | Though we don’t suggest an over-the-top zebra theme to match it, these zebra-esque chevron tiles incorporate both a classic style and an organic inspiration to create a unique and eye-catching surface. 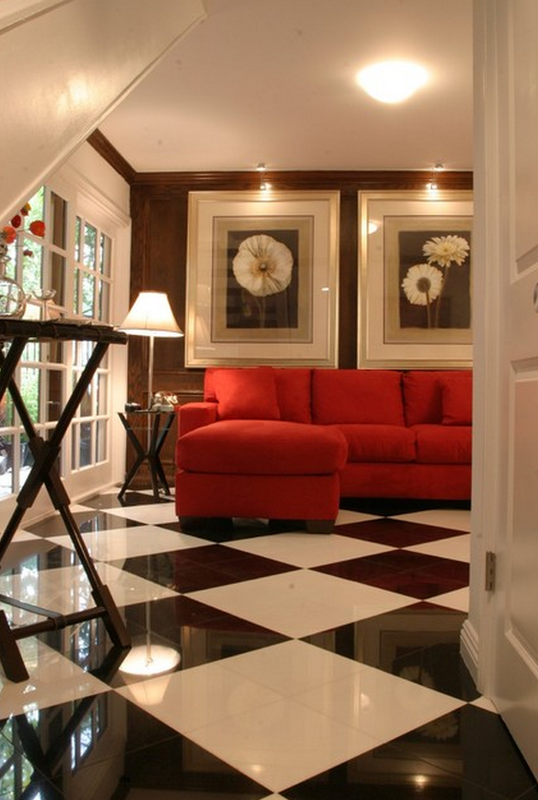 5 | Tiling in unexpected places, like the vertical sides of your stairs, adds a pop of color and personality to the room. 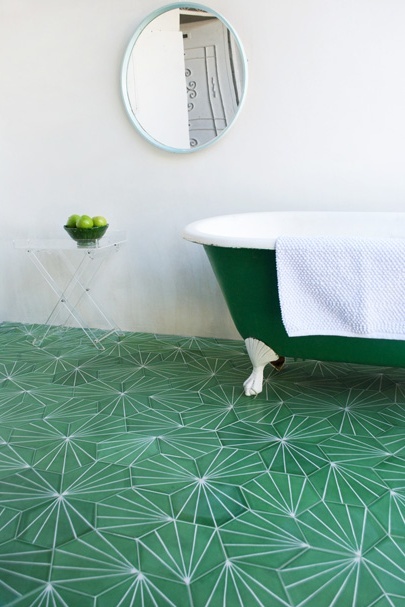 For these and other examples of contemporary tiling, check out our Tile Ideas Pinterest board!